If you’re in need of a friendly, efficient and diligent professional commercial or office cleaning agency in London, look no further. 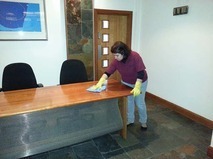 We are London’s fastest growing cleaning company and appreciate the need for a sparkling clean office or workspace. Our committed and experienced team of professional cleaners are trained to the highest standard to make sure that your building is cleaned in a prompt and efficient manner. No job is too big or small for us – whether you are a large business with multiple offices or a small independent retailer, we will always go above and beyond your highest expectations. 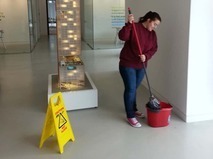 Professional Office Contract Cleaning Company in London – Janitorial services ensuring every inch of your office or commercial building is spotless and fresh. Professional Hotel Contract Cleaning Agency in London – Our professional hotel & housekeeping cleaners follow a strict cleaning checklist, including mopping, vacuuming, dusting and surface cleaning. Professional Retail Contract Cleaning Company in London – Dailing deep cleaning services for shops, department stores, shopping centres, cafes, restaurants, kitchens, awnings, canopies, leisure centres, theatres, cinemas, bars, pubs, nightclubs & supermarkets. Professional School Contract Cleaning Agency in London – Daily deep cleaning services for classrooms, universities, colleges, libraries, halls, gyms, kitchens, canteens, carpets, flooring & staff rooms. Professional Hospital Contract Cleaning Company in London – Daily deep cleaning services for hospitals, doctor surgeries, dentists, medical centres & health clinics. After Building Work & Post-Construction Cleaning Agency – Deep cleaning services for commercial buildings and construction sites. Professional End of Tenancy Cleaning Company – Deep cleaning services of bedrooms, living rooms, windows, carpets, bathrooms and kitchens for landlords and tenants. "I want to thank Assertio and most particularly Marcello, who has been so helpful and professional in our Covent Garden shop and also in our newly open location in Bluewater. I rarely met someone so dedicated to his job and to his clients. He even thought about wishing me my birthday..."
"Since using Assertio Services, from the first day we have been very pleased, we have not had a day when a cleaner has not turned up for work. They are friendly and hard working. They constantly try to be better at what they do. Problems and issues are dealt quickly and without hesitation"
At Assertio Services, we pride ourselves on keeping our team of skilled and professional cleaners happy. To us, the satisfaction of our employees is insurmountable. We know that as long as our cleaners are pleased with their jobs they will continue to work hard for you. We respect our employees and their passion for doing their jobs well. Are your cleaners friendly and polite? Do you get the same cleaners every day? Does your contract cleaning company use quality chemicals and equipment? Do your cleaners work beyond the call of duty? Is your cleaning company competitively priced? Are your cleaners adequately supervised? Do the cleaning managers visit the site often? If any of the above questions is a no, why don't you contact us for a free no obligation quote. We know your problems and will provide the solutions. The Clean, The Green And The Flying Machine: The Future’s Looking Good It’s not often we get the chance to clean up on good news stories, but gratifyingly we have a trio of upbeat tales to share.